James joined the firm’s personal injury department in 2018 as a specialist in high value, complex, and catastrophic personal injury litigation with a focus on cases involving life-changing accidents including brain injuries, spinal injuries and fatal accidents. James is an advocate of early, and full, rehabilitation to help improve and maximise his clients’ quality of life, as well as that of their family. 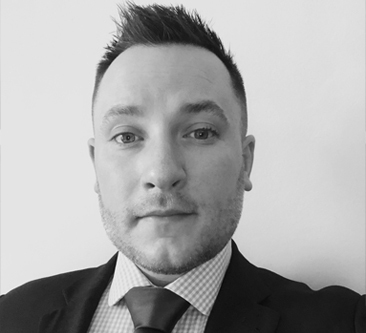 Having worked for some of the largest defendant law firms in the country, James brings an in-depth knowledge of how large and complex cases are often dealt with by the insurance industry and he is adept at putting this experience to work for claimants. James prides himself on providing his clients with a bespoke service tailored to their individual needs, and helping them secure the damages to which they are entitled. His hands-on experience of the insurance industry has given him a particular insight that enables him to communicate extremely effectively with his opponents, helping to avoid unnecessary adversarial procedures that can sometimes prevent claimants from recovering the full amount of compensation they deserve. His previous litigation successes include cases of accidents at work, road accidents, and public liability cases including pedestrian injury, cyclist claims, falls from height, loss of limb, occupier’s liability cases and defective premises, and cases involving uninsured and untraced drivers’ with the Motor Insurers’ Bureau.